This beer reviewing lark. I’ve been at it for over a month now, and already some beers have cropped up that taste almost identical to previous brews. Case in point: Kinshachi Red Label by Morita Kinshachi Beer seems to be riding on the coat tails of Hitachino Amber Ale, albeit as a pale imitation of Kiuchi’s brew. Is this a Kinshachi or a Hitachino in disguise? Kinshachi Red Label pours swiftly, with little head and a slight nose of malt; the taste is light and malty with a medium aftertaste that didn’t stick around. Now, full disclosure: I’d just put a load of tiger balm on my sore neck and was eating green curry crisps, so my olfactory abilities may had been tainted somewhat. But if a beer can’t hold its own against a bag of crisps – their natural ally! – then what kind of beer is that? Why is it worth spending money on? This unimpressive beer does nothing but get you drunk. You’re better off getting a chuhai. 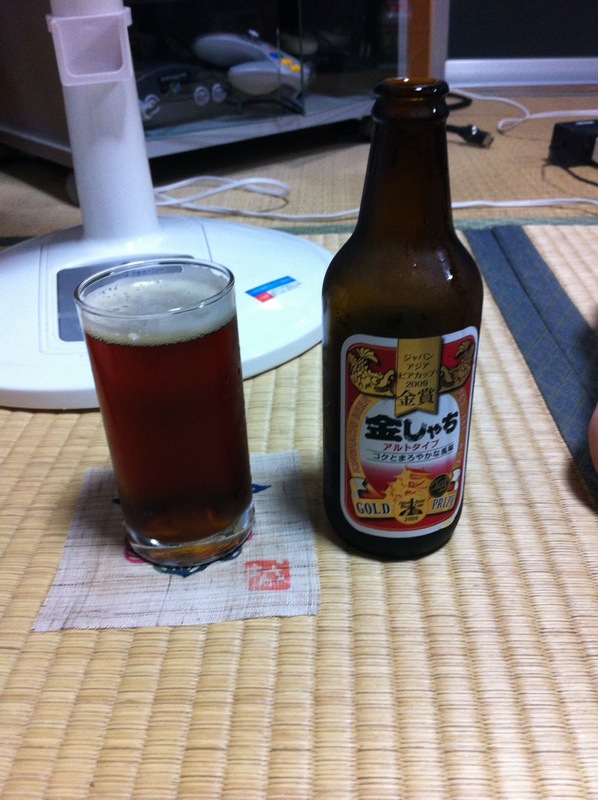 Kinshachi Red Label can be bought online here or at the Morita Kinshachi Brewery online shop here.